Two posts in one day? With a third possibly on the way? A Christmas miracle! 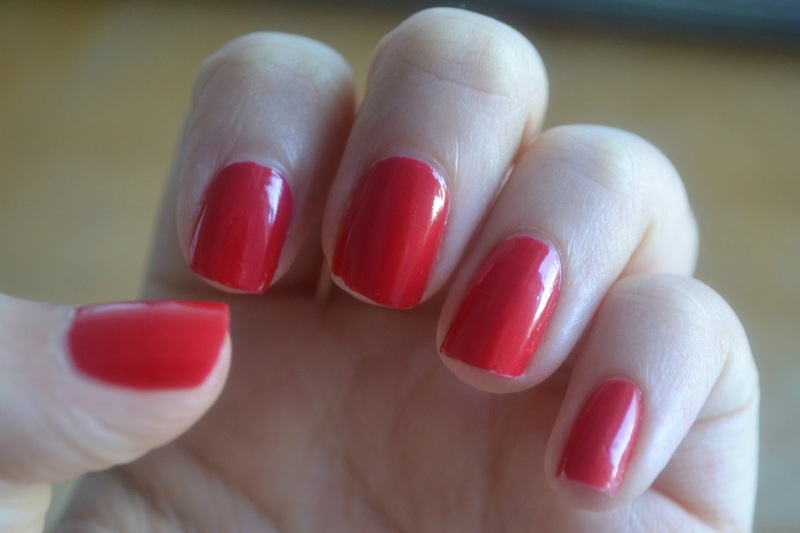 Or I'm trying to catch up with Blogmas and since I showed you a great Christmas nail polish in China Glaze's 'Ruby Pumps', I thought today I'd show one that disappointed. Personally I think negative reviews are just as helpful as positive ones but if you're not a fan then look away. 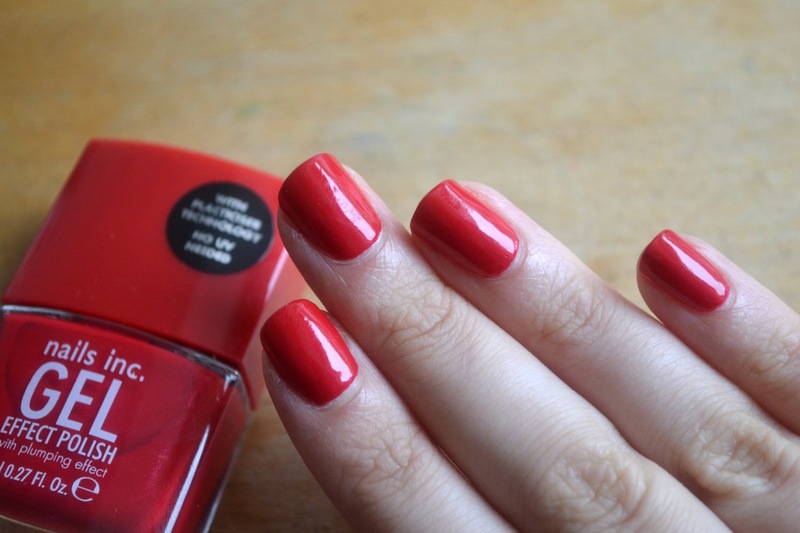 I was given the Nails Inc Gell Effect Polish in St James* (what a mouthful) at the Mid-Summer Meet in Manchester and was totally head over heels for the colour and the slight shimmer that showed up in the bottle. I loved putting it on initially as it was very easy but a little thin which meant I found myself scraping it off the sides of my fingers most nails. In fact on my second hand I exclaimed, “Oh this is a nightmare” out loud over a Skype call which made no sense in the context of the conversation. The colour was immediately great but it needed two coats to get rid of any visible nail line and I did want to put another on but resisted. And then- oh then, I went to have a bath (four hours later) and as you can see in the picture above it started to chip at the tip. Then! The next day I noticed that I had an imprint of my sheets on my nails so the fourth coat went on and a top coat. Needed a while to dry but not too long. And the shimmer wasn't at all visible. Would I buy this? Probably not but it has me intrigued about other gel polishes and I may even crack and buy some of the Barry M jelly polishes that I have been avoiding until now. Have you tried the Nails Inc Gel Effect Polishes? What do you think? *I was given this at the Mid-Summer meet in Manchester but this hasn't changed my opinion and I am under no obligation to show it on my blog.